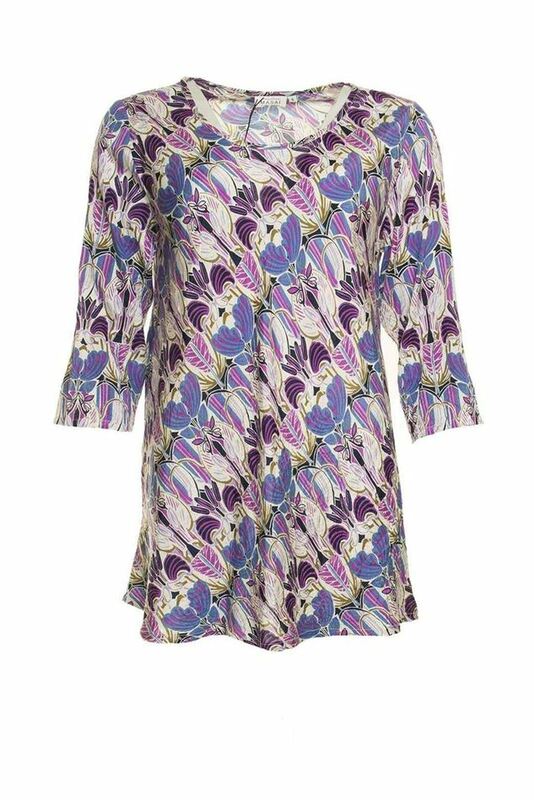 Stylish top in slightly crinkled viscose decorated with a colourful floral print in beautiful tones. The top sits nicely against the body without being tight, as the fabric is cut on the bias. Stylish top in slightly crinkled viscose decorated with a colourful floral print in beautiful tones. The top sits nicely against the body without being tight, as the fabric is cut on the bias. Otherwise the design is completely simple with three-quarter length sleeves and a beautiful V-neckline.